Sometimes when we get older and find ourselves in a rut, it can result in a life transition. In other cases, we just find that our lives are not going the way we thought they would. Feeling as if time is slipping from our hands could make us feel that it is time for a change. This change, or rather how we perceive this need for change and act on it, is known as a mid-life crisis. 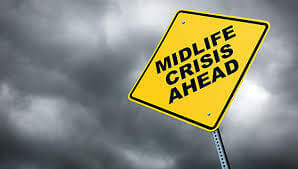 First identified by Carl Jung, a midlife crisis is experienced by people who may be between 40 to 60 years old. It is considered to be a part of the normal maturing process. It is a phase of emotional transition that most people will go through to varying degrees. One of the external causes that can bring about a mid-life crisis is financial crisis. Financial crisis can come in a form of debt, bankruptcy, loss of income that clearly creates financial stress. A wise thing to do would be to call a financial advisor or a debt management company and have them help you. While going through a mid-life transition, the death of a family member can make the situation even worse. The grief is already difficult enough to deal with, throw in the feelings brought about by a midlife transition and many won’t be able to handle it. The process becomes overwhelming. People who tend to avoid conflicts in their personal relationships are more likely to go through a rough patch during a mid-life transition. Similarly, someone who suffers from feelings of inadequacy and low esteem or is emotionally distant will find a midlife transition more overwhelming than others will. Since such personality types fear shame and rejection; they will also be less likely to seek help during this emotional time. Instead of trying to find solutions, they would rather run away from their problems. If in a relationship, they may very well end up in divorce court. Lack of understanding of the process that they are going through can lead to irrational decisions that they may later even regret. These include spending all their savings, leaving a job or divorcing their spouse. No two people will behave the same way through a mid-life transition. While some of them will process through each stage smoothly, others may pace back and forth between them. People who are going through it are experiencing an internal change that could be an opportunity for growth. How they deal with it will decided whether the outcome will be positive or negative. With so many responsibilities and roles that you have to take care of, you neglect to take care of yourself. Good mental health and well-being requires that you take care of yourself too. This will include eating well, exercise, as well as, taking the time to relax. When you are physically healthy, you are more resilient towards stress and depression. If your mid-life transition has become too much to handle, then don’t do it alone. By staying connected to supportive family members or friends, you will have someone who cheers you up and celebrates your successes. The key is not to feel isolated in mid-life. Reflect on which stage you are in life at this moment and then consider if your priorities have changed. Mapping it out on paper will help you see what is important to you. Add in what you think gives your life a purpose, as well as, the goals you have for your work and family. Do not leave out what makes you feel happy and stressed. The point is to navigate towards a life that is balanced and healthy. This transitioning phase seems like it is going to last forever. It won’t! A good idea would be to talk to someone who has already been through this and survived it. The point is to hope for a future where you will feel better.